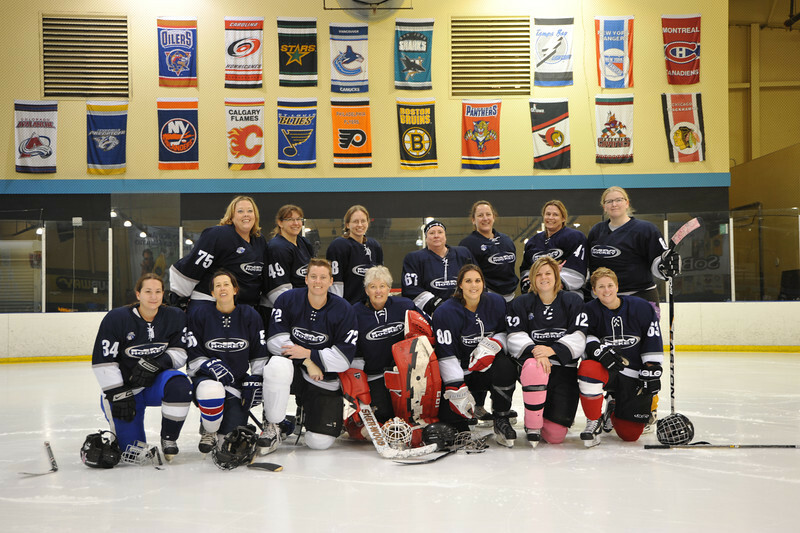 Just after being sick, I went off to Vegas to skate in a hockey tournament with the Desert Divas. Usually when I go to hockey tournaments, we get beat by a wide margin. But this time, we took home the prize in our division. For the first time in a really long time, I got to travel and not worry about anything. I’m sorry I was absent from the web, but I had a blast. 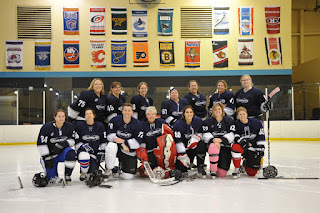 Our goaltender for the tournament brought along her husband who takes very professional photos, so I’ll leave you all with some hockey picks. (I’m the one in the yellow socks, it’s a long story). 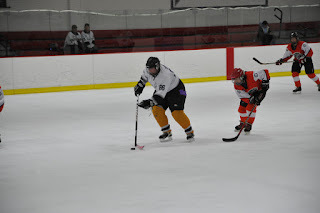 These are probably some of the best hockey photos I've seen, and some of them are even of me! I'm the tall one on the right. Sometimes an online hiatus is good for the soul -- good to know you had fun offline. Thanks! I'm really just stocking up for the crazy that is the A to Z challenge! Well done on getting the prize and what looks like a lot of fun. It was so much fun. Vegas is a surreal place, and I love skating, though I wish I hadn't been sick going into the tournament. so awesome! dr faerie godmother hockey star! 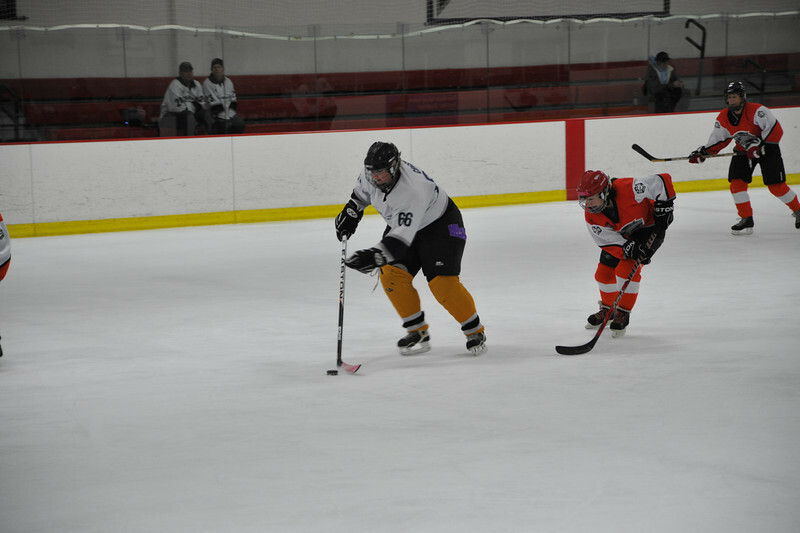 It's so much fun to play any sport, but I definitely enjoy hockey. And we had such a great team too. Happy!! 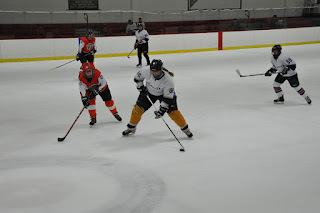 My friend really wants me on her hockey team next year, but it's been a LONG time since I've skated on hockey skates, so this year is all about getting used to those babies again ;-) Glad you had a blast! Oh, you should totally get back on those skates. Some things change, but you'll remember and it'll be back to fun in no time. Hey, Crash. One of the 3 times you crashed on top of our players in the crease, you broke 2 ribs on one of the players. Lucky she didn't get a pneumo. 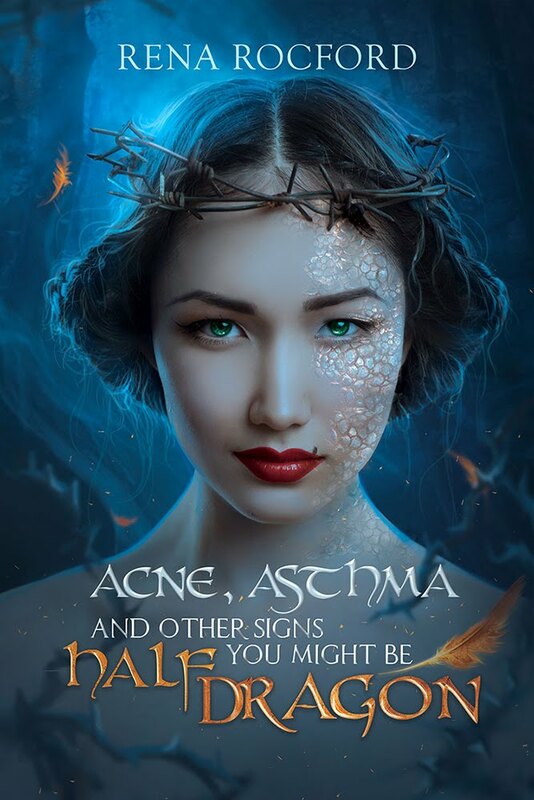 It might be good to get a bit of control before you hurt other people. Or is that your m.o.? FYI you knocked my helmet sideways off a face off too. Get a grip, it's a game. I’m truly sorry your teammate got injured. No one intends to hurt others while playing hockey, myself included. As you say, it’s just a game. However, I fully understand your frustration since one of my teammates came away from that tournament with a broken wrist. In the future, you should take your concerns directly to your captain, who can then talk to the refs and/or the other team’s captain to handle these issues on the ice and avoid bad feelings later. I have passed your comments and concerns on to my team captain and my league commissioner. Please let your teammate know that I wish her a speedy recovery. As you say, it's just a game. Finding her blog and making a nasty comment where you accuse her of being out of control and hurting people on purpose is not professional, and uncalled for. She didn't gloat about winning, she simply stated that her team won. I'm sure her team could tally up their own injuries from the game, and yet they remain professional and do not seek you and your team members personally to complain. I suggest in the future that you do the same. Seriously...this is why girls shouldn't play sports...no offense...but its hockey...HOCKEY...the last TRUE tough sport. The last sport where you can fight, slam each other into a wall...and do it all on ice and skates. Stop ruining the sport complaining about some minor injuries. I was on the ice when chris pronger took a puck to the face in the first period, then came back in the 3rd with stitches in him face and he finished the game...scoring 2 more goals and fighting. You don't see real athletes complaining about some bruises...because its HOCKEY...so have some respect for the game or play a different sport. I know you don't mean to be offensive, Jon, but that's hands down the most chauvinistic comment I've heard in the last decade. I agree that there is a certain attitude adjustment that comes with hockey (I've played on a broken arm myself, because, as you say its HOCKEY), but I kid you not, it's the boys in my league who complain the most loudly when they get hurt. Your argument holds no water. The only reason women don't get to play like that is the luminaries at USA Hockey have decided that women shouldn't (a debate for another day). Instead of all this boy-girl bologna, maybe we should just go with "People, this is hockey. It's a physical game where skill and strength are equally important; try not whine about it. This is the best game on Earth." Rena I was actually defending you...however, your correct, and point well taken. Guys or girls...this IS hockey. I think Sandra just belongs at the ballet...or perhaps a nice musical. 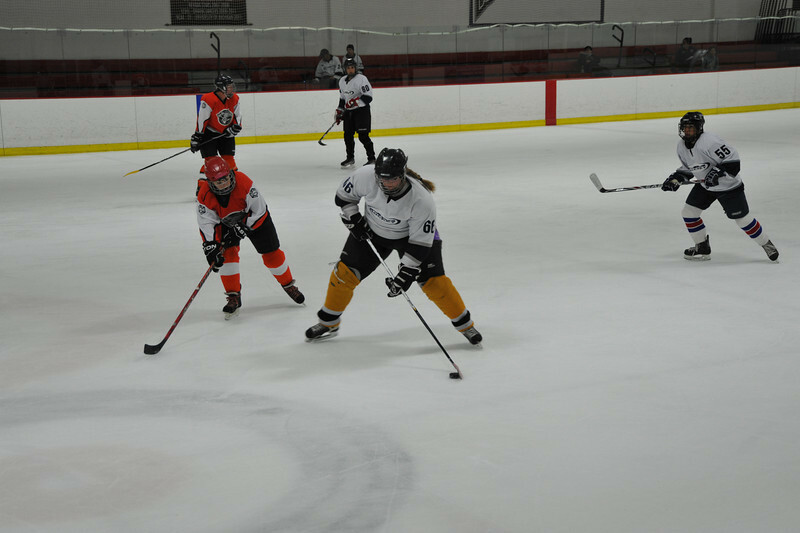 Complaining you knocked her helmet sideways and broke another girls ribs...well...in any other sport that would be a horrible thing...but in hockey, that's the best compliment! Friday, thank godiva you're here!